I’ve heard so many good things about Clé de Peau Beauté foundations but have avoided them for years because I did not want to fall in love with a $100+ foundation. Several friends along with a couple bloggers I’ve met use foundations from the line and their skin always looks phenomenal. I decided to give both the Cream and Silky Cream versions a try. I was matched to O30 which is a neutral medium shade. Both are really good, but I have a slight preference for the Cream. For reference, Joey’space has a good comparison chart to show the difference. Both foundations have a medium cream texture that is very concentrated so you only need a little to cover the entire face. They are packaged in a convenient squeeze tube which is very easy to use. I like that there is no detectable fragrance once you apply it on the face. 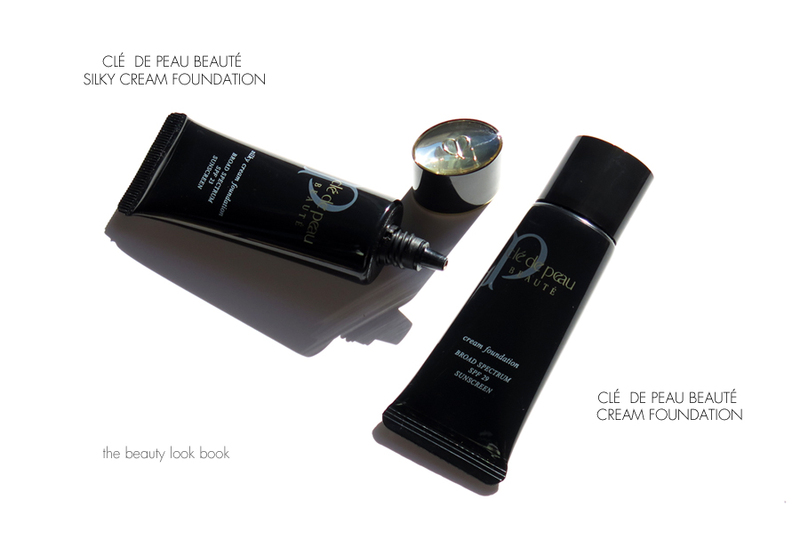 The Clé de Peau Beauté Cream Foundation comes with a higher SPF of 29 and has a medium to full coverage for me. It has a semi-matte and velvety finish but looks very natural on the skin. I found it blends perfectly when used with a damp Beauty Blender sponge or Chanel Foundation Brush and both make the skin look flawless. It covers quite well without looking heavy or cakey. I prefer the Cream because it has a bit more yellow in it which matches my skin better and also has a more matte finish. Lasting power is very good for my normal skin, but with the hot humid weather we’ve been having in Southern California, I’ve found nothing really holds up the entire day without touch ups. This one does get a bit shiny on the nose area with the humid weather, but on the days I’ve tested it where it was cooler, I found it held up very well without any touch ups required. Beauty Professor has all the shades in the Cream formula swatched for reference. The Silky Cream Foundation comes with SPF 23 and also has medium coverage but has a slightly dewy finish. This one is better suited for dry skin, but I’ve found it is still suitable for my normal skin. The finish is really lovely on this but it has a slight hint of pink in it but I still find it to be a decent match for my skin tone. 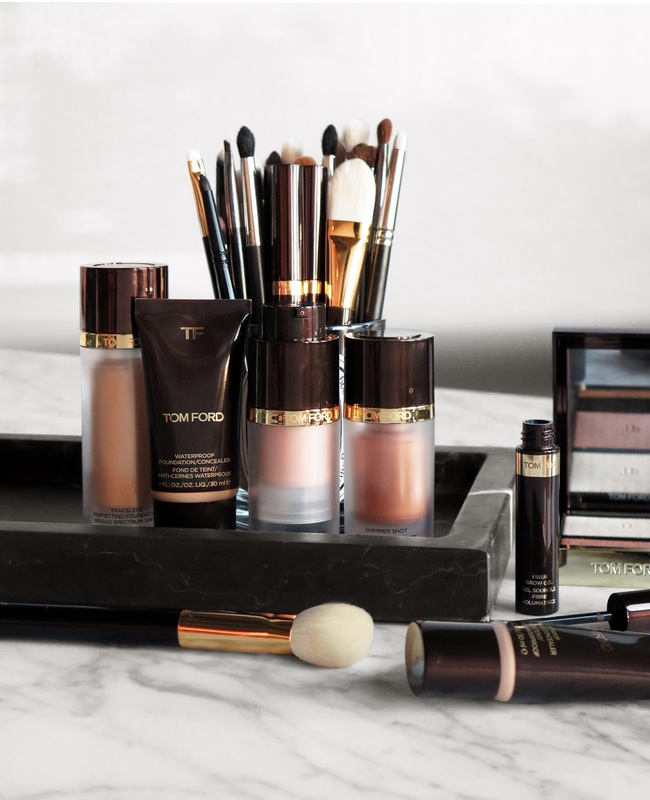 The Clé de Peau Beauté rep who helped me at Neiman Marcus said most people prefer this formula because it looks more natural on the skin and those with normal to dry skin find it blends easier, but her personal preference was for the Cream. The coverage on this one is also phenomenal with a natural dewy look. It’s a bit too rich for my skin right now with the super warm weather but I suspect this will be really good for fall/winter. I could have skipped this one entirely since I prefer the Cream version. I’ve also been testing the NARS Radiant Cream Compact foundation. This one has been out for quite some time but I never tested it. A makeup artist applied this on me at a recent makeover event I attended. I told her I was looking for something with more coverage than the Tinted Moisturizer but not as heavy as their Sheer Glow Foundation. She suggested I use the Radiant Cream Compact and was matched to Punjab. I am typically not a fan of compact foundations because they are usually extremely heavy on my skin, but the NARS is surprisingly lightweight with a finish that has a natural glow. It’s not overly dewy and I don’t know that I would call it radiant, but it does have a soft luminous finish without looking shiny or greasy. I really like the way this applies with a damp Beauty Blender or fingers for smooth even coverage. The entire set is refillable and the mirrored compact with sponge is sold separately for $10. After testing this for almost a month now, I think I could have definitely skipped buying the compact. The sponge that comes with the foundation is a good one, but not the best for this cream foundation. I found it applied too much product and also found it to look a bit streaky. I loved how this covered smoothly and didn’t settle into fine lines or pores for me. I’ve found lasting power to be quite good, but those with oily skin will probably need to touch up mid-day. It didn’t leave me an oil slick (like Armani Luminous Silk does) but it did look a bit too dewy by 1:30 pm in the afternoon after applying it in the morning. I really really love this one. For reference, Café Makeup has all the shades swatched. (Iron Oxides), Ci 77492 (Iron Oxides), Ci 77499 (Iron Oxides)]. 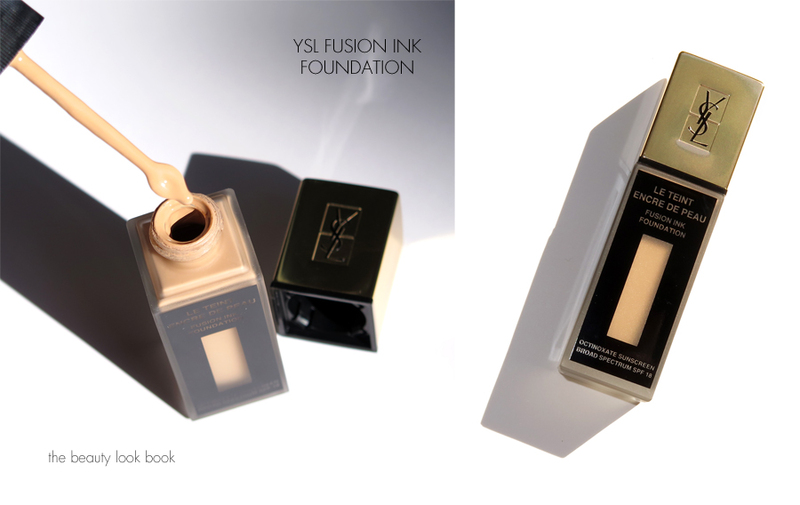 The last foundation I’ve tested that I wanted to share is the YSL Fusion Ink Foundation. There has been a lot of hype and excitement over this new release from YSL. I bought this at Nordstrom and my experience was slightly frustrating since the rep didn’t know how to properly match me (she wanted to give me ones with pink tones) so I ended up matching myself to B40 which turned out to be a really good match. I really wanted to love this but it did not work for my skin. Reports and reviews have been mixed on this. Some adore it while others do not. I tested this on several occasions and fell head over heels in love with the color, texture and blendability. What I did not like was the thin runny liquid texture which made it drip all over the place when moving the tip from the bottle to the back of my hand, face or sponge. Even though it had a thin texture, I loved the way it covered my skin. It looked velvety with flawless coverage and lasted all day even in hot humid weather. The Fusion Ink foundation blended quite well and I found it easy to layer for more coverage while still looking natural like skin, but just slightly matte. After a few weeks of testing I found it did not work well with my sensitive skin. When I applied it, the foundation stung my skin upon first application but the stinging sensation went away after it was blended. Even though it seemed to last well all day, by the time I took it off in the evening, I found my face covered with red spots and bumps. I tried this on six different occasions just to make sure it wasn’t anything else that caused the reaction. Each time I had the same redness by the end of the day. It also clogged pores and caused breakouts in my chin area which took a couple weeks to clear up. Your mileage may vary on this one. If you can get a sample to try first, I recommend it. I’m still a huge fan of Chanel foundations as my go-to for the best color match and formula options for my skin tone and skin type. 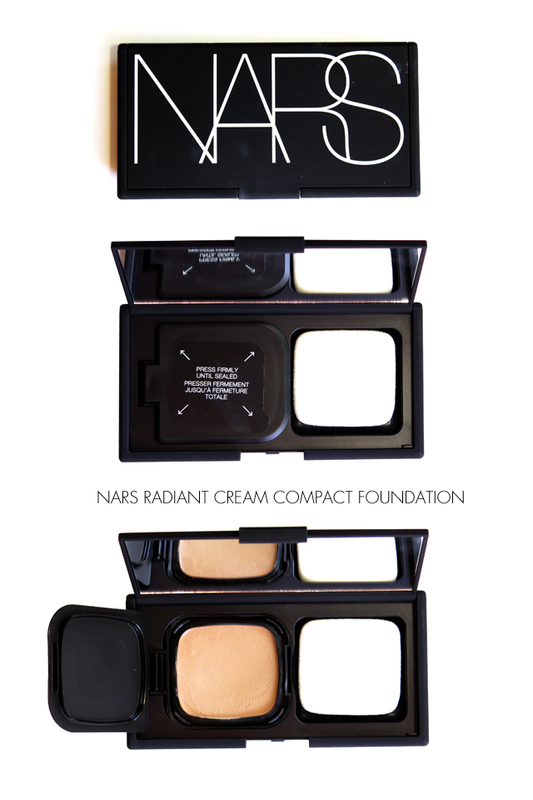 I give the NARS Radiant Cream Compact foundation and Clé de Peau Beauté Cream Foundation a huge thumbs up. I was particularly impressed with the lightweight feel of the NARS and also really pleased with the natural dewy coverage it provided. It gives the face a natural but slightly glowy look while evening out the skin. The color Punjab is a perfect match for me. The Clé de Peau Beauté Cream Foundation is really the best foundation I have ever tried. I really wish it wasn’t so expensive but the coverage, look and feel is truly phenomenal and there is nothing that comes close from my testing experience. I have a lot of foundation loves, but this one beats them all. I do like the look and feel of the Clé de Peau Beauté Silky Cream but it is better suited for normal-dry skin and cooler weather. I could have skipped the Silky Cream and gone just with the Cream formula but I really didn’t know what to expect before I tested them extensively. Given the high price of the Clé de Peau foundation, I do think it’s a try before you buy kind of thing. The shade selection is on the lighter end so if you’re medium to dark you might have a hard time finding a match in the cream formulas. The YSL Fusion Ink unfortunately was a complete fail for me. I don’t know if I’m going to return it or not, I bought mine at Nordstrom and the associate assured me I could return it without any issues if it didn’t work, but I still hate returning things. The coverage, color match, overall look and lasting power were all so good, but the formula didn’t work well with my skin type (which is super sensitive) and caused red bumps to surface everywhere. Have you tested any of these? What were your thoughts? If you haven’t, what are your favorite foundations in rotation right now?